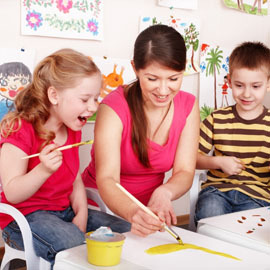 Curriculum | First Class Child Development Center, Inc.
Every concept is learned starting with the base two levels of our curriculum which are Moving and Sensing combined with Naming and Describing. 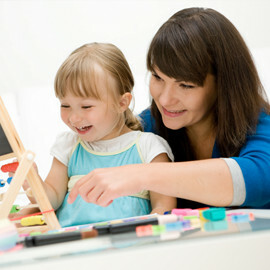 In these levels, children explore through as many senses as possible and learn what things are called and what they do. The mid two levels, Sorting and Classifying together with Patterns and Relationships, are aimed at developing pre-reading skills and scaffolding knowledge. The final two levels, Questioning and Evaluating with Creating and Inventing, are the highest, most complex thought process levels. These levels are the final phase of developing problem solving skills. The longer a child is in our program, the more they benefit from the First Class curriculum. 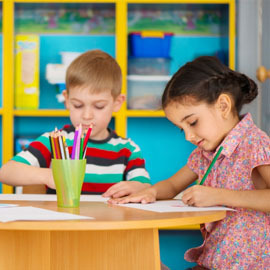 The majority of our students are asked to test for the gifted and talented programs in the public school system.